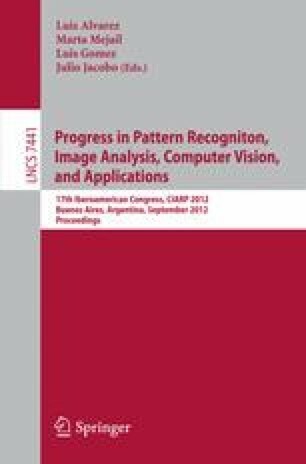 This paper deals with building change detection by supervised classification of image regions into ’built’ and ’non-built’ areas. Regions are the connected components of low gradient values in a multi-spectral aerial image. Classes are learnt from spectral (colour, vegetation index) and elevation cues relatively to building polygons and non building areas as defined in the existing database. Possible candidate building regions are then filtered by geometrical features. Inconsistencies in the database with the recent image are automatically detected. Tests in cooperation with the Belgian National Geographical Institute on an area with sufficient buildings and landscape variety have shown that the system allows for the effective verification of unchanged buildings, and detection of destructions and new candidate buildings.